Amalgamated from Product Hunt, Beta List and StartupLi.st. 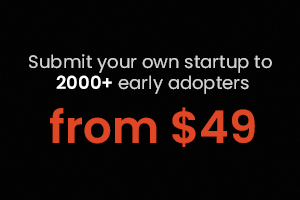 Submit your own startup to 1000+ early adopters, from $29. Kevin William David, Community @Siftery. You are receiving this email because you opted in on our website. unsubscribe.